In between their win against Southampton and their most recent rivals, Hull City, were heartbreaking defeats from Everton, Stoke City, and Manchester United. West Ham have so far earned 34 points from all their matches, a score that is good enough to free them from any relegation worries but still a far cry from making it to the top six. Conceding more goals than they can afford, the side need some serious fixing in their defense. Their mediocrity in many aspects of football would make them vulnerable to thrashings by the stronger oppositions. They barely have the skills to protect the lead, fail at taking a good grip of the ball, and let go of set-piece opportunities regularly. Liverpool, with the highest number of goals scored among all the clubs, are once again at the summit of the league rankings after finishing all their last six matches soundly and confidently. Of this streak, the biggest victory they obtained was from their most recent—defeating Tottenham Hotspur on a four-goal clean sheet. 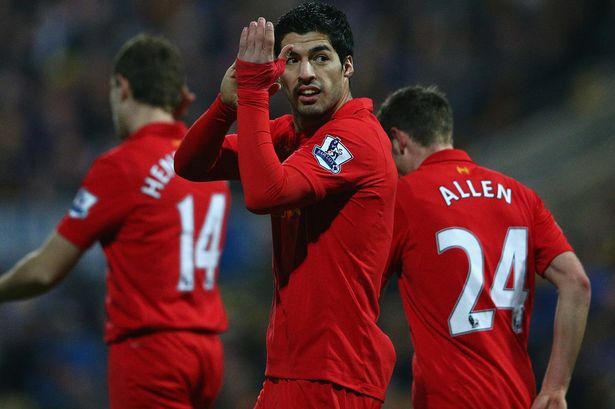 The victory proved highly decisive of the side’s current standing and saw Luis Suarez score his 29th goal of the season. There is an immense power enveloping the entire squad, and this should guide them into continuing their very impressive Premier League run. Online betting tip: Liverpool will book their 23rd triumph of the season. What Tottenham Hotspur have that Sunderland do not is discipline. The sides are 13 spots or 31 points apart which means that there is a huge disparity happening between the teams. The differences all boil down to skills sets, goalkeeping, and overall abilities. The Spurs take pride on displaying good counter attacks and creating long shot opportunities while the Black Cats barely even keep themselves out of the dangerous areas. Record-wise, the hosts have so far won in 17 matches and drawn in five which helped them accumulate the points necessary to look forward to a Europa League berth. Sunderland, meanwhile, are yet to break their six-match winless streak and are still marooned in the drop zone. Football betting tip: Tottenham Hotspur may pick up a clean sheet against Sunderland.